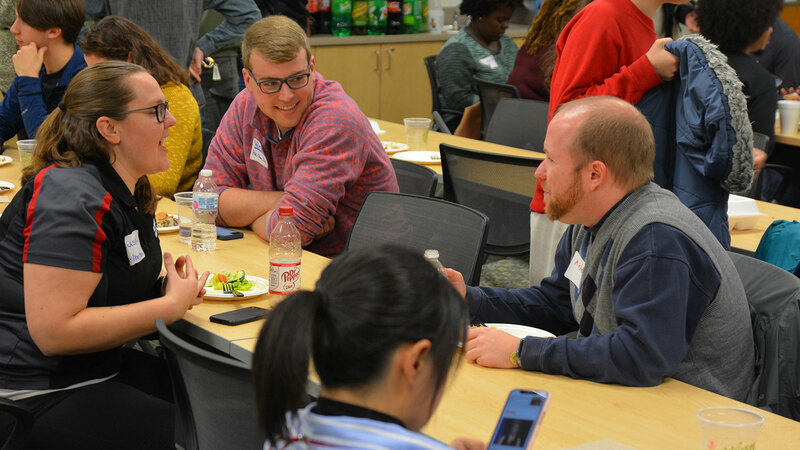 The GLBT Center and GLBT Faculty and Staff Network’s fifth annual Holiday Potluck provided an opportunity for GLBT students to gather in a place of community, solidarity and care. Nearly 60 students and over 15 faculty and staff attended on Thursday November 15, 2018. “It was great to spend time with my campus family before going home for the holidays,” said a returning student. Their statement was echoed by others in attendance. 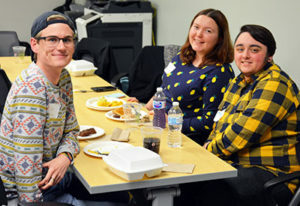 Another student stated, “It was definitely very safe, very inclusive and there was a nice mix of faculty, staff and students and intersecting groups of friends.” For many GLBT college students, the holidays are a time of navigating family and hometowns that are potentially isolating and unwelcoming. Overall, the GLBT students in attendance were grateful to have a space on campus where their identities were affirmed and celebrated. 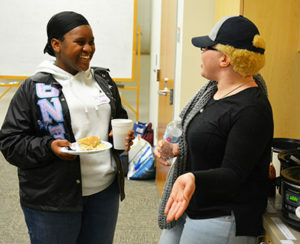 Events such as the Holiday Potluck give students a sense of warm, welcoming community before the holiday season. Andy DeRoin is program coordinator for the GLBT Center.